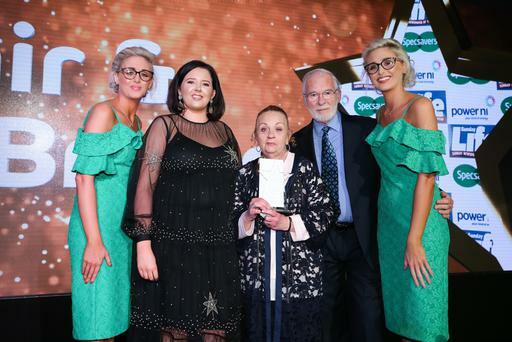 A very special couple who adopted seven children with special needs, and have devoted their lives to caring for them round the clock, won the Caring Spirit award in the 2018 Spirit of Northern Ireland Awards in partnership with Specsavers. Alistair and Pearl Brown from Warrenpoint have two grown-up sons of their own, one of whom has special needs. They then went on to adopt four boys with special needs and three girls with Down syndrome, who now range in age from 14 years to 52 years. Alistair (71) is a retired hospital theatre porter and Pearl (68) has been a full-time carer and mum to their children. 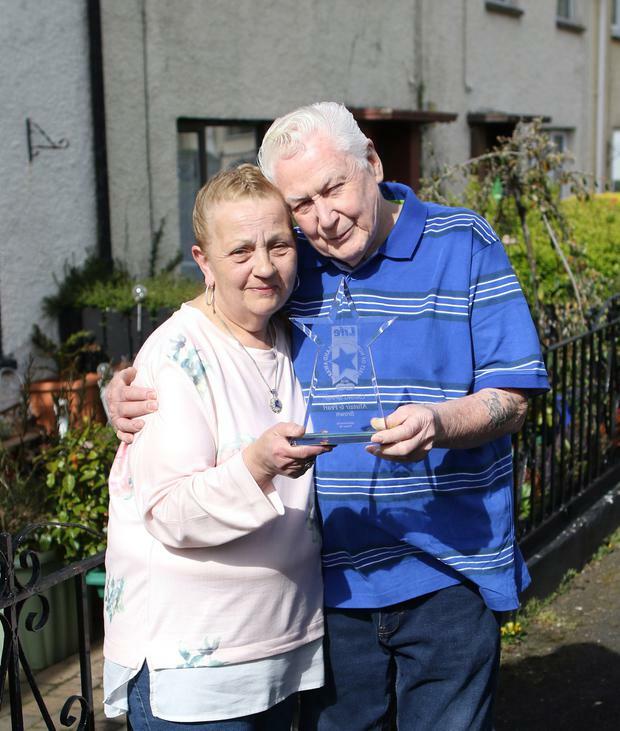 A friend who nominated the couple for the Caring Spirit award, a category which is again sponsored by Power NI this year, said: "Theirs is such a loving, caring and happy home and each time I visit I come away feeling amazed and humbled by the care and love in the midst of such a busy life." Alistair summed up what it meant to both of them: "We are overwhelmed and delighted. We really didn't think we would get an award at all." The couple, who spent a large part of their lives in England, returned to Alistair's hometown of Warrenpoint when he retired 12 years ago. They have two grown up sons. James (52), who still lives in England, has two sons of his own. Their second child Brendon (50) has special needs and lives at home with his parents. They couple first adopted Jonathan, who is now 36 and has cerebral palsy and needs round-the-clock care, when he was a baby. Their good heart was recognised by adoption agencies across England who then approached them about caring for other special-needs children. The family kept growing as Pearl and Alistair found it impossible to turn any baby away. As well as Jonathan and Brendon, at home they also have Paul (36), who has severe brain damage; Kelly (36), who has special needs; Isa (13), who also has complex needs; and three girls with Down syndrome, Debbie (38), Anna (33) and Annie (30). Alistair says their children have brought him and his wife great happiness over the years: "It is great to see children from different walks of life and different parts of the country all get together in one family." While Alistair worked most of his life, it fell to Pearl to be the full-time carer for their adopted children. The couple had planned to have another child of their own but after several failed pregnancies discovered they couldn't have any more. They hadn't planned to adopt until Pearl read an article in a newspaper about a shortage of parents for children with special needs. Alistair explains: "It was a Sunday afternoon in November 1983 and Pearl was reading one of the Sunday supplements. "There was an article on an adoption agency looking for parents for hard-to-place children who weren't the typical blonde-haired, blue-eyed normal babies. That made us decide on that course and we got this beautiful little boy, Jonathan. "It was a High Court adoption case heard by Judge Elizabeth Butler-Sloss who is a very famous judge who chaired the Princess Diana inquest. "I remember she said to Pearl, 'Are you prepared to fight for that young man?' and Pearl said of course she was, not realising that we would be fighting for over 40 years for our children, and we still are." The couple have had little support over the years but say despite the challenges, their unique family has brought them great joy. Alistair says: "Jonathan was our first and he has cerebral palsy and needs 100% care. After that, adoption agencies just kept approaching us asking could you have a look at this little chap or girl. "Annie has an inoperable heart condition and came to us at five months. We were told she would only live a year and now she is 30 and she still struggles because of her condition but she is probably the gobbiest of them all. "We just couldn't say no, it just wasn't in our natures to turn them away. We thought we could make a life for these children and give them a home." The couple live in a modest four-bedroom house in Warrenpoint. They now fear for their grown-up children when they are no longer around to look after them. Pearl says: "We worry very much about their future and we have offered to gift our home to social services so that they can stay together but so far we haven't been told if that could happen. "Our adopted children came from a life of hardship and we adopted them to give them a better life and I think we have given them a decent life and met all their needs. "It breaks my heart now to look at my children and think they are not going to get that care if we are not here. "If they split them up it would be a whole lifetime's work for our children gone." 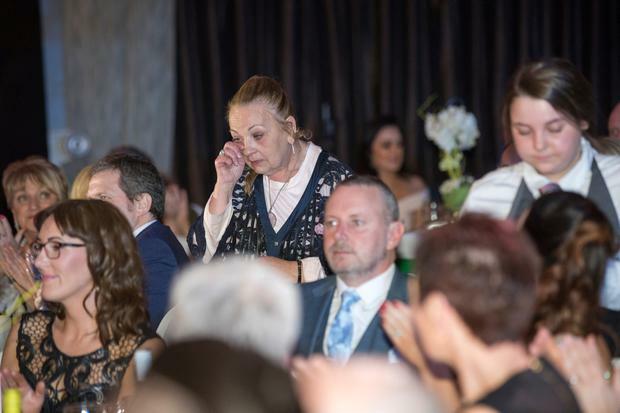 By Stephanie Bell A veteran Belfast fire fighter known for going above and beyond the call of duty was our 999 Hero Award winner last year.